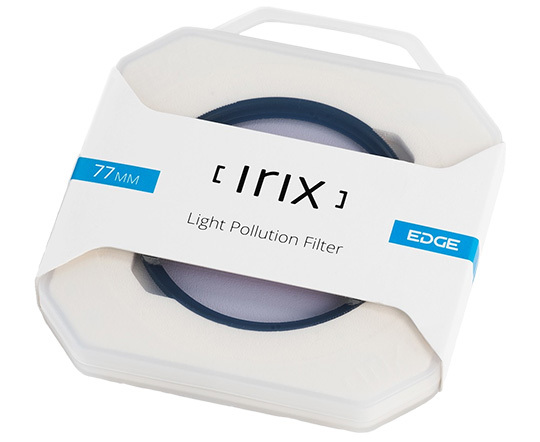 The Irix Edge brand is a wide range of photographic filters consisting of gray, gradual and C-PL filters in different variations (screwed on, 100mm square, and gel filters). 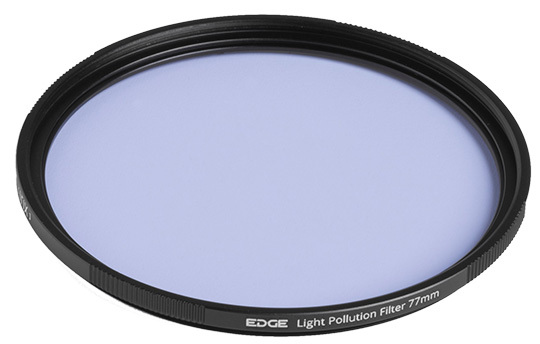 Now we extend our range with a new filter type with the Irix Edge Light Pollution. The filter is available in sizes: 67mm, 72mm, 77mm, 82mm and 95mm. The yellow dominant that can be seen in the picture during the night is caused by the use of sodium lamps for urban streetlighting. 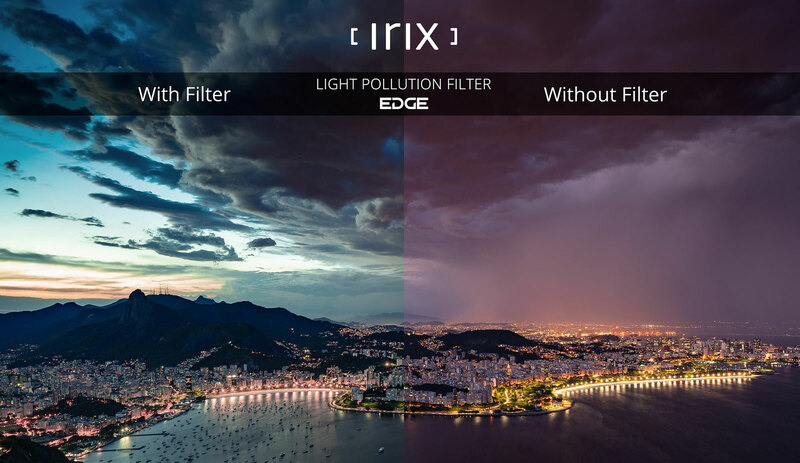 The Irix Edge Light Pollution filter removes the yellowish haze emitted by sodium lamps. The Irix Edge Light Pollution filter has been developed based on the highest quality optical glass which guaranteeing high light transmission. On both surfaces of the filter applied a multilayer anti-reflective coatings to minimize the risk of unwanted reflections. The filter has also NANO coating with hydro- and oil-repellent characteristics, so that dirt does not adhere to its surface so the maintenance of the filter's purity has been significantly facilitated. The filter frame is made of lightweight and durable aluminum. Its surface has been covered with a black coating with a special finish that minimizes the risk of flare, while being resistant to damage and scratches. 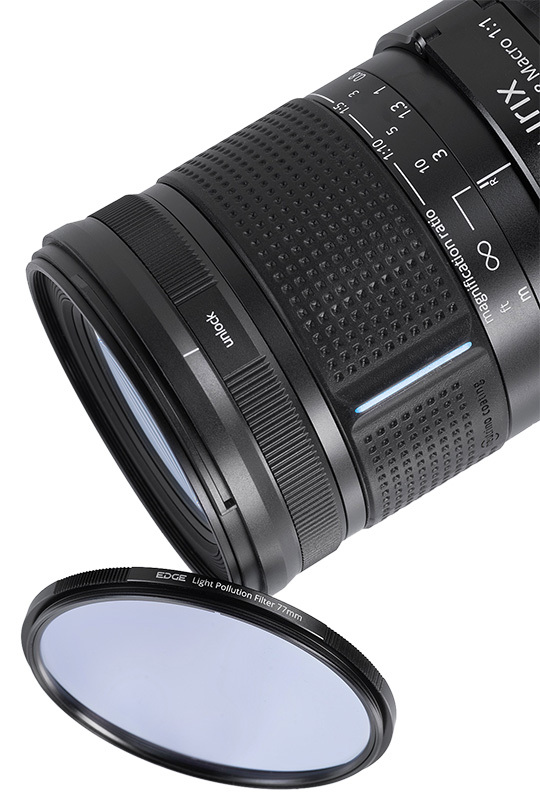 Irix products are sold in the US at B&H, Adorama, Amazon and in Europe at Amazon UK, Amazon DE, Amazon FR, Amazon IT. This entry was posted in Irix and tagged Irix EDGE light pollution filters. Bookmark the permalink. Trackbacks are closed, but you can post a comment.